Written by two internationally renowned gastroenterologists, this 2-part indispensable review book has been designed as a clinical skills refresher for exam purposes for gastroenterology and internal medicine residents and fellows, as well as practicing physicians. Part 1 of this series covers Cardiology, Endocrinology, Hepatology, and Nephrology. 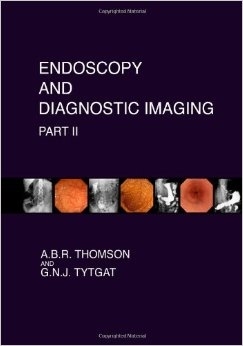 Endoscopy and Diagnostic Imaging is a gastroenterology resource book which includes esophagus, stomach, small bowel endoscopies and clinical case studies, esophageal manometry, diagnostic imaging, as well as examples of GI-disease associated skin, nail and mouth changes. Part 2 of this series covers Neurology, Respirology, and Rheumatology.